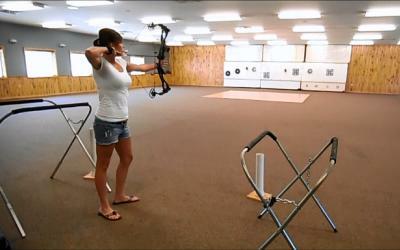 Indoor archery is available to members and non-members. Targets are NFAA indoor targets and are supplied at no extra cost. There are 20 shooting lanes set at 20 yards. 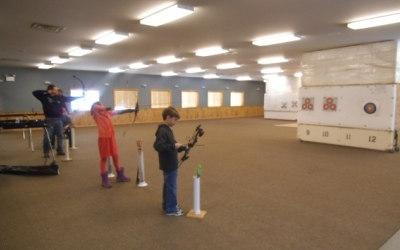 *Note: Call ahead on Saturday mornings to shoot archery indoors as the room is sometimes set up for an event and is not available for archery. 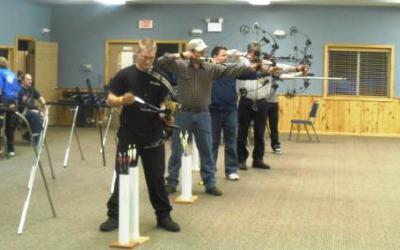 League shooting is also available, usually during the winter and occasionally during the summer, with a banquet following league competition. Check the club calendar or newsletter for league dates and scores for current league scores / standings.